Jacques Rivette was a director and film critic in the French New Wave movement whose style I would compare to a sort of cinematic equivalent of the magical realism strand in literature. 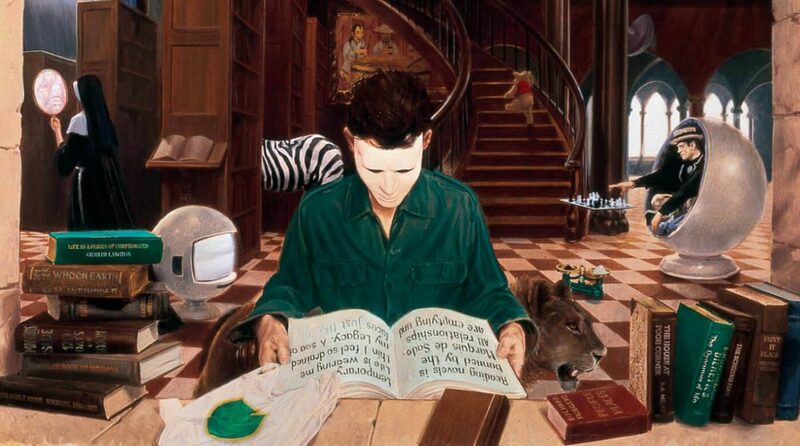 You have the same combination of a real world, usually contemporary setting with hints of more unusual things going on and occasional overt lapses into supernaturalism, and a sort of enigmatic, reticent style of direction which, much like the narrative style of the magical realism authors, means that the story tends to keep its secrets close to its chest. One factor which has made Rivette’s material hard for newcomers to appreciate is the extreme length of some of it. 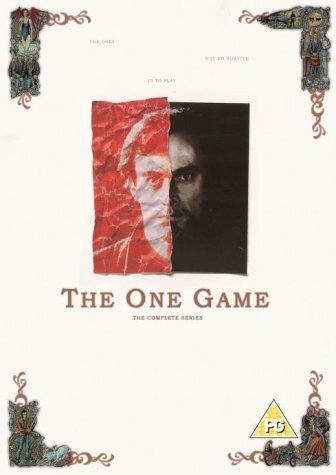 Whilst Rivette would make films of a more usual running time, his most famous work, Out 1, is a truly daunting prospect. There’s an abridged version entitled Out 1: Spectre, which goes at over 4 hours, but the full experience – Out 1: Noli Me Tangere is an epic of almost 13 hours long. That’s naturally a barrier both to home media release and for cinematic revivals. However, Arrow Academy have blessed us with an expansive boxed set, encompassing both versions of Out 1 and several subsequent projects in a similar magical realist vein, allowing for perhaps the easiest entry point to this difficult body of work ever offered to the public. Though they were filmed after, I will tackle the subsequent movies first, before moving on to a detailed analysis of Out 1. Although the Mel Gibson movie adaptation, which guts its nuances in order to fit into a Hollywood-appropriate running time, might be more prominent in some circles, I think in the long term it’s the original production of Edge of Darkness that will stand the test of time. Written by Troy Kennedy Martin – whose other credits included the first draft of The Italian Job, and directed by Martin Campbell (who in between directing this and the Mel Gibson version directed Goldeneye and the Daniel Craig version of Casino Royale), it’s an unmistakeable artifact of the 80s which, perhaps due to the fact that it pays only passing notice to the Cold War and deals with subject matters with half-lives greater than the lifespan of even the most secure nation states, still seems deeply relevant. Ron Craven (Bob Peck) is an experienced Yorkshire police detective, who one dark and stormy night in the mid-1980s collects his adult daughter Emma (Joanne Whalley) from a meeting of a left-wing student organisation. As they’re dashing through the rain from the car to their front door, a man steps out of the darkness, screams Craven’s name, and raises a shotgun; Emma rushes forwards and takes both barrels to the torso and the the assassin flees into the night, leaving Emma dead at Craven’s feet. Craven’s colleagues in the police think it’s a revenge killing – Ron worked in Special Branch in Northern Ireland during some of the most vicious parts of the Troubles, and therefore doesn’t want for enemies from that quarter. However, as Craven goes through the weirdly intrusive but sadly necessary chore of getting her possessions in order, he makes a string of alarming discoveries – a Geiger counter, a radiation dosimeter, and a vicious-looking automatic pistol. Craven knew that Emma was a member of Gaia, a radical environmentalist group, and he was aware that Gaia had planned some sort of action involving Northmoor, a privatised nuclear facility owned by International Irradiated Fuels. Is it possible that, despite all Craven’s warnings, Emma and her cohorts actually went to Northmoor – and if so, does that mean she was the assassin’s target? Mysterious Whitehall duo Pendleton (Charles Kay) and Harcourt (Ian McNeice) certainly think so, and so does an American contact of theirs, the avuncular CIA agent Darius Jedburgh (Joe Don Baker). On top of that, American businessman Jerry Grogan (Kenneth Nelson), owner of the Fusion Corporation of Kansas, seems to have his own interest in the affair, particularly since he intends to purchase International Irradiated Fuels (and Northmoor with it). Just what is inside Northmoor that could be worth all this subterfuge? What vision does Grogan have for the future that requires him to own Northmoor? What extremes will Jedburgh go to in the pursuit of his own agenda? And is Craven merely imagining things in his grief, or is he really being guided in his investigation by the ghost of Emma? 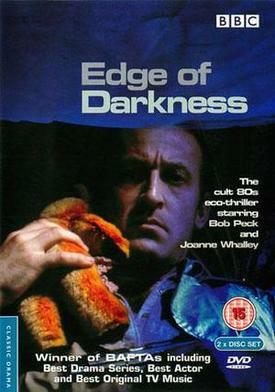 1986’s Edge of Darkness, a one-series-and-done thriller about murder, nuclear cover-ups, ecology, space colonisation, global extinction, and the role of ancient secret societies in all of the above, prompted a brief fad for dramas featuring a touch of magical realism or esoteric conspiracy here and there. They didn’t make a big deal of it at the time, mind, but if you look back the common threads become markedly more evident. The strangely compelling VHiStory blog, in which the author watches all the VHS tapes that have sat piled up in their garage for the past couple of decades, has made convincing arguments for a number of series as attempting to mimic the style and success of Edge of Darkness. Of these, both Jute City and Wipe Out have almost entirely vanished from view; neither has had an official DVD release, and whilst Jute City has appeared in bootleg form on YouTube footage of Wipe Out seems to be impossible to find. VHiStory makes a good case that Jute City seems to have followed the Edge of Darkness checklist a little too closely, whilst if Wipe Out‘s directly copied scenes from Edge of Darkness as VHiStory claims that might have created legal as well as commercial barriers to giving it another release. Wipe Out was broadcast alongside The One Game, the third series VHiStory identifies as belonging to this “a bit like Edge of Darkness” microgenre. Unlike the others, it has enjoyed a DVD release, and for my money it stands on its two feet very well. 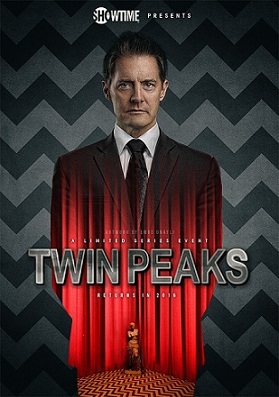 Like Edge of Darkness, it’s full of ambiguous moments which can be read as suggesting a far more esoteric interpretation of events, but unlike Jute City or Wipe Out it benefits from a drastically more original story and an aesthetic style all of its own. Though I found that South of the Border, West of the Sun often dragged when I read it, I found it intriguing enough to want to read more Murakami – especially since I found that the book went much more smoothly once it was voted out and I could just sit down and tear through it, a fairly clear sign that the one-chapter-per-week format wasn’t quite right for the material in its case. After Dark is comparatively recent Murakami (originally published in 2004, English translation came out in 2007), and is the first one I’ve read since the competition ended, so I’ve no idea whether it’s representative of the general direction his writing has evolved in since South of the Border. It’s much like that novel in that it’s a blissfully short piece about alienation and loneliness in modern Japan shot through with magical realism, except I like it a lot better because it wears its high-weirdness heart on its sleeve and has a more developed cast of characters than the extremely self-absorbed Hajime of South of the Border and the people in his narrative that he chose to focus on. The novel unfolds over the course of a single night, from just before midnight to shortly before dawn, with most of the action taking place in a somewhat seedy entertainment district of Tokyo. Young university student Mari, in the grip of insomnia, is spending the night studying at a Denny’s when Takahashi, a trombone-playing student that she had met briefly some time before approaches her and strikes up a conversation. A little later in the evening Mari is accosted by Kaoru, an acquaintance of Takahashi’s who manages a nearby “love hotel” – as far as I can tell, such things are Japanese equivalents of the sort of sleazy motel you always see Americans renting rooms at in order to have torrid affairs in TV shows, only they aren’t so coy about their purpose. A Chinese prostitute, Guo Dongli has been assaulted by a customer back at the love hotel, and Kaoru knows (via Takahashi) that Mari speaks Chinese and can therefore talk to Guo and find out what happened. Given the high-weirdness premise I’m not sure I can give a particularly compelling analysis of the book based on one reading, or even articulate a response beyond “it’s quite good I like it”, but the overriding theme seems to be the importance of memory and of reaching out and making contact with people while you still have the opportunity. Takahashi, Mari and Kaoru all have regrets and bad times that they don’t like to recall, but as Takahashi observes it could be that being able and willing to draw on your memories is vital to survival as a sane human being. It’s through recalling times when she was close to Eri that Mari is able to reconsider the distance she’s created between herself and her sister, which seems to be essential to drawing Eri out of the state she’s in during the novel. The chain of coincidences and encounters that make up the story is kicked off precisely because Takahashi remembered meeting Mari previously, and therefore struck up a conversation with her, and it’s because Takahashi is so willing to share his recollections of past events in his life – many of which are quite sad – that he comes across as charming and honest as he does. It’s consistently through recollection and reminiscence that people are drawn together in After Dark; every friendship that Mari makes that night is based on someone reminiscing with her, whether it’s Takahashi talking about his dad going to jail or Kaoru thinking about her former career as a professional wrestler or Guo recounting what happened to her. The converse of this is demonstrated by Shirakawa, the workaholic salaryman who assaults Guo, who divests himself of most of the evidence on his way home and by the end of the novel appears to have forgotten all about the incident. Living entirely in the present, Shirakawa lives a nocturnal life where he never really sees his family, and in ditching the evidence he also throws away the cellphone he stole from Guo – which means that when the Chinese gangsters telephone him to threaten him about it, he doesn’t get the warning. The threats they give – “You might forget what you did, but we will never forget” – underscore the point that in disavowing his past all Shirakawa has done is make himself entirely ignorant of what’s creeping up behind him. The other shoe never drops on this particular strand – the novel stops rather abruptly, as dawn comes – but I was left with the impression that Shirakawa was in for trouble sooner rather than later. On balance, I’m very pleased with After Dark and I’m glad I picked it up, and I’m more likely to revisit it for another delve into its mysteries than South of the Border. I think the crucial difference is that Murakami made me care about all the characters in this one, whereas I couldn’t bring myself to care much about Hajime in South of the Border, and I don’t think I’d have cared much even if the chapters weren’t being rationed.